I often get asked, "What supplements should I take?" My pat answer: Tell me first what you eat. That seems to be the conclusion of the latest position paper on this topic by the Academy of Nutrition and Dietetics. Micronutrient supplements (those that contain vitamins and minerals) are warranted, when our nutrient requirements are not being met through the diet alone, the AND says. By far, the most common nutrient supplements used by Americans are multivitamin-mineral combinations, experts say. Are they helpful? 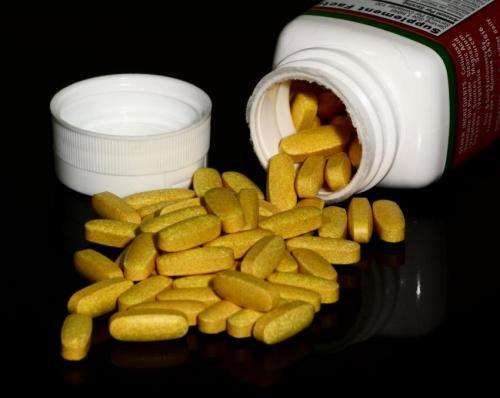 According to ongoing national surveys, many of us would have lower than recommended intakes of vitamins A, C, D and E and minerals calcium and magnesium if we did not take supplements to fill in the gaps. Some multivitamins provide adequate amounts of these nutrients. Others don't. We need an optimal amount of all nutrients—including vitamins and minerals—to promote our long-term health. At the same time, we need to guard ourselves from excessive intakes that could be detrimental. That's why recommended intakes are continuously modified according to the most current research. Most of our nutrient needs can be met with good dietary choices. The daily recommendation for calcium, for example, can usually be met by ingesting a high calcium food at each meal. Calcium needs vitamin D to be adequately absorbed, however. And because this sunshine vitamin is not found naturally in many foods, many people need supplemental vitamin D.
There are times when nutrient supplements are not only helpful but recommended. Before and during pregnancy, for example, women need 400 micrograms a day of folic acid—a B vitamin that can help prevent some kinds of serious birth defects. The U.S. Food and Nutrition Board says women of childbearing age can get this extra folic acid from fortified foods or dietary supplements. Breastfed infants need iron supplements from about age 4 months until they begin to eat iron-fortified foods, says the American Academy of Pediatrics. And they also require additional vitamin D until they are weaned to vitamin D-enriched formula or milk, experts say. Older adults lose the ability to fully digest vitamin B-12 that is bound to food. Therefore, adults over the age of 50 should get 2.4 micrograms of the crystalline form of vitamin B-12 found in fortified foods and supplements. Too much of a good thing is never a good idea. Supplements that supply excessive amounts of vitamin B-6, for example, can cause nerve damage. And high intakes of retinol, a potent form of vitamin A, are associated with lower bone density and an increased risk for hip fractures in older women. Look for supplements that get most of their vitamin A from beta carotene rather than retinol, experts say.